My lengthy blog last week – which many have correctly called a rant — was perhaps a bit tough on paranormal TV shows, but rightly so. However, I want to underscore a couple of things said in the article, which perhaps people may have glossed over, related to the positives of TV and people I’ve worked with over the years. Having read that blog, some might feel I’m mighty down on television. While that may be true with regards to most of the paranormal “reality”(unreality, in my mind) shows, there have been occasional shows that at least tell a good ghost story, and that don’t seem to have screwed with the story or the interviews with witnesses. One that I’ve enjoyed from time to time has been Ghostly Encounters on BIO, which at least appears to allow people with all sorts of ghostly experiences (good, bad and neutral) to tell their own story, with re-creations happening on screen under their own narration. I don’t know for sure that the editing hasn’t screwed with the stories, but at least they fall more into the range of the experiences that parapsychologists have had reported to them for over a century. On occasion, there’s a good portrayal of a medium or psychic at work, though all too often these days the show devolves into one where the camera is more interested in the non-psychic activities of the medium/psychic and her/his family. They also give the impression that these folks can walk up to anyone on the street and start giving a reading, no matter how intrusive – and I’ve had a number of people (viewers) tell me how off-putting that seems. Those folks and everyone reading this should be reminded that almost anyone these days backed by a TV camera crew can walk up to just about anyone on the street, and often someone from the crew makes sure it’s “okay”(after all, the person does have to sign a release). I’ve met a few of the psychics/mediums who do those shows, and none of them (they tell me) would walk up to someone on the street, in a market, etc. and start a reading uninvited without a TV crew to smooth the way. Frankly, this isn’t much different than a street magician (a la David Blaine) walking up to someone saying “want to see a magic trick?”No camera crew, most likely the people would walk away – and that I’ve seen in person (I used to be a magician myself). Television has the ability to bring good information to the masses. It has the ability to educate while it entertains. It has the potential to be a tool to introduce concepts and experts to many millions of people, and the potential to push them to question all sides of a subject or issue. As mentioned in that last blog, having grown up in a TV production family, I’ve been around TV people all my life, and absolutely through my formative years. My first appearance on TV, I was told by my parents, was when I was 6 months old and my mother was visiting the set of a NY talk show my father was working on. I worked as a “runner” (okay, a go-fer) for NBC Sports at a bunch of baseball and football games when my father was a producer, and ended up on camera a couple of times playing catch with Joe Garagiola. Had a great time as an extra on All My Children back in the early 80s (only one day, unfortunately). I love television, and have known great people over the years, both through my family connections, and ever since I had my first job in Parapsychology at the ASPR. Some of the folks I’ve worked with – whether for actual shows or pilots or for proposed series – are still people I’d jump for the chance to work with, and a few of them have become good friends. There are, in fact, people with real creativity and integrity working in the industry who have either a genuine curiosity about the phenomena and experiences, or even an abiding interest. But there are also folks who think the paranormal can make good television, yet want to make it“right” and have respect for the knowledge, experience and even creative ideas of the experts and the witnesses. They respect the ghost story and they respect the base of what’s actually known and the questions we, the researchers and investigators, ask. They might suggest new technology and new methods, but respect our reactions – positive or negative – to such suggestions. In my experience, sometimes the right question that needed to be asked in a case that was being shot for TV actually came from a member of the production crew, and not from me or people with me. TV crew members should always be reminded to ask questions and even make observations (though some directors have gotten a little testy when a sound guy or production assistant points something out or asks a question, regardless of whether I’ve thought it was a good one or not). There are three very important things to keep in mind when working with television. Post Poltergeist, and especially post Ghostbusters (1984), there was this expectation that we had an arsenal of technology. Back then I had to remind them that Steven Spielberg had a much bigger budget for pretty equipment than we ever have had. That and “None of that stuff in Ghostbusters was real, guys.” Of course, once environmental sensors became reasonably available (and priced), we did have toys to use on camera – though for a long time some producers moaned about them not having pretty lights or sounds. The reality is that while phenomena might happen during a shoot, it’s as likely as not to happen behind the camera, or simply out of frame from where the camera is pointed – if it happens at all. Well, I totally understand the issue and desire of the producers and their networks to have visuals on camera. Hence reenactments/acting out of some of the stories with actors and even occasional special effects during the reenactments. If done well, if representing the story and reported phenomena correctly, this can be quite compelling and even of use to the investigative process. There are other ideas along those lines which have yet to be done on TV which I’ve shared with a couple of producers who have been trying to pitch shows – but unfortunately networks see their shows as “too different”from the current crop of crappy ones (which still get the ratings). Then there’s the need for dramatic events in the shows, especially around the phenomena. But if there’s no phenomena, and you’re not willing to fake it (there’s the integrity thing), you have to get your “drama” from the people– who have to be able to tell a good story, and the story itself ought to be interesting. The experts need to be able to relate to the story, to the location, to the witnesses and above all, to the viewing audience. To me, one of the reasons to dislike so many of the“investigation” shows currently on TV is that they’re missing the actual ghost story. And unfortunately, most of the shows that focus on the ghost story and reenactments have again and again been shown to play fast and loose with the actual story – even editing the witness testimony to give a particular focus or element to the story that was not actually reported by the witnesses. Not that there’s always an easy fix to make a ghost hunting show interesting, visual, and accurate. But it is entirely possible, if the producers are willing to learn about the phenomena and science (Parapsychology) AND the experts are willing to learn something about the needs of television. Now, the second point: TV people are often ignorant of the paranormal/parapsychology or have the same misconceptions as the viewing audience because what they know came from other TV shows. I cannot possibly calculate the amount of time spent on the phone with producers, directors and production staff answering their questions about the phenomena, research and investigation methods, and findings– as well as misconceptions. In my last blog, the final point made was about getting paid. Yet other than extremely rare circumstances, I’ve not gotten paid (or asked for payment) for time spent educating TV folks about the basics and what they can and cannot reasonably expect. Just as I don’t charge average folks to consult (basically) with me – though I do charge for classes, and for mentoring people beyond the basic conversations. It’s always been part of my mission in this field is to help educate the public, which is why my first job in the field, as “Public Information and Media Consultant” in the Education Department of the American Society for Psychical Research was so apropos. Even though there’s so much misinformation and misconception –crap – out there in the Media, as the late D. Scott Rogo told me just after I finished my Masters’ degree in Parapsychology, if there’s even one good, credible story in the middle of a lot of bad ones, someone will recognize the good from the bad, and follow up on that. If I and others don’t try to educate and correct the misconceptions, what chance is there that any good information will get out there? So, I work with the Media, always hoping that the time spent informing and discussing with the production people will lead to occasional bright spots in the darkness that is unreality TV (and even TV news coverage of the subject). People in TV, until they are assigned a topic or story, or get a request to develop a show, or even a contract for a show/series, may have no personal interest in the paranormal. Consequently, one cannot fault them for not knowing anything, especially how to separate the good info and experts from the oh so big pile of crap that’s out there on TV and the Web. Most of them are open to what my colleagues and I have to say, even if they can’t follow up on it due to the constraints of the show/series as it has been pitched to a network, or as the network dictates. I’ve had great conversations with producers I’d love to work with on other projects, just not the one they’re calling me about (again, because of what the network wants/has dictated). Some of them have even gone back to the network with what they’ve learned to try to sway them in a different direction (usually fails given the network folks having their own ideas about what “works” without any clue as to what’s actually possible for credible coverage). Some got so interested in the “real paranormal” that they contact me every now and again for updates, and even try to sell a decent series idea every so often. In other words, not all people in television fall into the areas I covered in my “Unreality TV” blog. The third point: What’s on the screen is a result of network executives/personnel ordering the results or intervening directly as much as or even more than what the producers had in mind. Television is a business, and there are advertisers to be placated, ratings to be had, and politics and personal preferences within the networks. The production companies are in business, and the more the networks like their product, the more shows they sell – or they go out of business. I totally get that. After all, my father worked for a network (NBC) and then was out on his own. No orders for programming means no business and no money. Television does not purport to be educational in general, though naturally PBS has strived to be that, and some of the cable networks have claimed to provide educational programming (and some do) besides news programs. But there’s much more to this. Even educational programs on PBS need sponsors, though we hope they don’t have a say about the content. Educational programs, such as they are, on cable networks do depend on ratings for continuation, and as with all programming, no ratings = no sponsors = no shows. I have little problem with shows that at least admit to be attempting “entertainment,” but real problems when the folks representing the shows – producers, talent, network people – claim it’s all “real” or “as it happened” or “a true story” when it’s very clearly been edited or otherwise put together in a way that is not real, not a representation of what happened (or the order in which things happened), or a story that’s been altered in the writing or editing. Saying events represented on the show have been “edited for time” is fine, as it lets the viewers know something vital (and as long as the events are still presented in a fair representation). I have a problem if the show utilizes naysayers who clearly have not looked at the actual evidence, or yea-sayers who accept everything happening as paranormally real, without question. I don’t have a problem when a show spoofs the paranormal, parapsychology, psychic phenomena/abilities, psychics or ghost hunting. As long as it’s an honest attempt at comedy, even if I don’t find it entertaining, I can appreciate the effort. The most credible show we could come up with would still need to get decent ratings to stay on the air, though we’d have to get on the air in the first place, and hope the network sees the potential. On the plus side, I’ve worked with many producers and writers who had great ideas or really wanted to portray this stuff correctly within the context of trying to build an entertaining show. On the negative side, getting those shows past the network “deciders” is tough, since almost no one in the management of TV networks seems that interested in trying something really “new” – they don’t want to be first to fail, and consequently even if they think a new idea is a great one, they’re often unwilling to take a chance on that in favor of a retread of something they know does get ratings. They have to think bottom line, with little regard to credibility. Can it be done? Absolutely. I’ve been involved in numerous show concepts that have real centers of good information and stories, presented in a variety of entertaining contexts. Can it be sold? There’s the rub: how do you sell “credible” when it’s unclear that “credible” can get ratings and clear than non-credible (in-credible) does indeed get ratings (although as we’ve seen, not always). If it’s sold, will they give it a fair chance? This is a problem in and of itself with networks. I’m sure all regular TV viewers reading this can recall at least one example of a new show they liked being bounced around the network schedule week after week, giving viewers no real chance to consistently even find the show, let alone watch it to help its ratings. 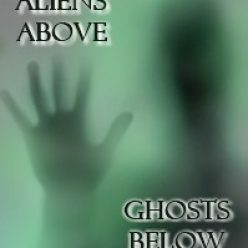 There have been several pilots or specials or single episodes – not just ones on the paranormal — for cable networks being scheduled in such a time period that it’s unlikely anyone would find it (unless they did a search of their cable provider’s schedule) if they even knew in advance the show was coming up. Network doesn’t want to give a show a fair shake? Schedule it at 1 in the morning on a weeknight or early to mid morning on a Saturday or Sunday and don’t do any promos for it. Series have been cancelled by being moved to the worst time slots so ratings would drop (remember the third season of the original Star Trek – moved to a network “death slot” of the 1960s, Friday nights at 10). I’ve met and worked with and become friends with many in the television industry of good heart and great ideas when it comes to covering the paranormal – and here I’m talking about all facets, from ghosts and haunting to ESP and psychokinesis, from field investigation to laboratory studies, from psychics and mediums to the psychic experiences and encounters of “normal”people. Great people, with lots of integrity. Even met people at the network level with the same. But the unfortunate reality is that such people in the are few enough, most especially at the network level, and often can’t get past the biases and expectations of others in the industry who have the buying power or decision-making ability for their networks. If there were sponsors out there willing to put their money into advertising only on credible shows, we’d have a chance. I came to my interest in psychic phenomena mostly from being a comic book and science fiction fan, with a little bit of the TV/movie watcher fascinated with ghost-infested comedies and dramas – NOT from the horror/scary side of things. To me, and why I got into the field at all in any serious way, psychic abilities and apparitional phenomena indicate there is way more to human beings and our potential than what we might currently believe. Humans have potential to exceed what we are now, both when we’re alive and when we’re dead. Too bad that the network named after science fiction, SyFy, has chosen to focus on scares and chills, rather than wonderment and inspiration, for its coverage of the topics involved. I love many of the dramatic and adventure shows on SyFy. But the only “wonder” their paranormal shows inspire in me is wondering why they consistently choose to buy and produce shows that hit almost all my “crap” points (from my last blog). The Paranormal, when presented properly, can activate the Sense of Wonder! It can inspire! There are TV people who get that. Isn’t it time they get a chance, too? To any network people or sponsors reading this: Get in touch. I know great people in the industry who can put out a phenomenal (pun intended) product and know how to promote it to draw an audience, to give them awe and wonder, to keep them coming back. Take a chance on credibility and real psychic experiences, research and investigation. Reach out to the majority of people who believe in this stuff (but who rarely watch your current shows) and make them feel wonderment at their paranormal experiences and attitudes about them. Guaranteed it will get them talking more. It will make psychic experiences more “normal.” It will expand the potential audience exponentially. More viewers = better ratings = more money. This entry was posted in Articles, Entertainment, News, Paranormal in the Media by Loyd Auerbach. Bookmark the permalink. LOYD AUERBACH, M.S., Director of the Office of Paranormal Investigations, is one of the world’s leading experts in Psychic Experience and Ghosts, and has been investigating and researching the paranormal for over 30 years. He is the co-author of author of the book THE GHOST DETECTIVES’ GUIDE TO HAUNTED SAN FRANCISCO with the late renowned psychic Annette Martin (2011, Craven Street Books/Linden Publishing) and the author of 7 other books, including A PARANORMAL CASEBOOK (Atriad Press, 2005), HAUNTINGS & POLTERGEISTS (Ronin Publishing, 2004) and GHOST HUNTING: How to Investigate the Paranormal (Ronin, 2004). His first book, ESP, HAUNTINGS AND POLTERGEISTS: A Parapsychologist’s Handbook (Warner Books, 1986) was named the “Sacred Text” on Ghosts in the 1990s and has been cited by numerous people as their inspiration for “getting into the paranormal.” He has a graduate degree in Parapsychology and has been teaching courses on the subject since 1983. He is a professor at both Atlantic University and JFK University and is the creator and Instructor of the Certificate Program in Parapsychological Studies at HCH Institute in Lafayette, also available for distance learning or in coaching form. Recently elected President of the Forever Family Foundation (for 2013 & 2014), he is on the Board of Directors of the Rhine Research Center, holds a position with the Psychic Entertainers Association and is on the Advisory Boards of the Windbridge Institute and the Forever Family Foundation. His media appearances on TV, radio and in print number in the thousands, including national programs such as The View, Larry King Live, Ghost Adventures, Ghost Stories, Sightings, Unsolved Mysteries, and specials on A&E, History, Travel and Discovery Channels, and more. He is a professional mentalist and psychic entertainer, performing as Professor Paranormal. He is also a public speaking and media skills coach, and has been teaching those subjects in university and corporate settings since the late 1980s, and currently coaches authors, entrepreneurs, corporate execs and others. As of 2010, he is also a professional chocolatier, producing and selling his chocolate under the business name of Haunted By Chocolate – with a book on the subject coming in 2013.